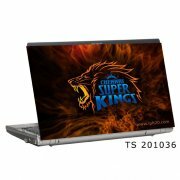 Topskin is a Very big company which produces artistic skins for laptops,mobiles,gaming devices,cars etc. The skins are really cool & modern. Topskin's vision is to give value addition to your gadgets.The skins are easy to apply and even easier to remove!All skins are made out of the best premium grade glossy vinyl &coated with a clear coating for additional protection. 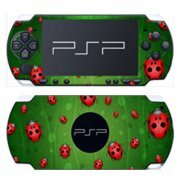 Topskin deals with Laptop skins,Mobile skins,Gaming device skins(Sony psp 3000 & Microsoft xbox). 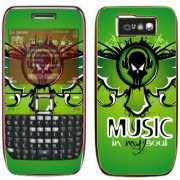 -Topskin Mobile skins supports Samsung(Corby,Genoa,GTB 3410),NOKIA(E63,...E72,E71,3110,5130,5310,5800,N96,N86,N85,N79,N73),APPLE(Ipod touch,Ipod classic,Iphone 3G,Ipod NANO 1st Gen,Ipod NANO 5th Gen),BLACKBERRY(BOLD 9000,CURVE 8900,CURVE 8310,STORM 9530,BOLD 9700,CURVE 8530). 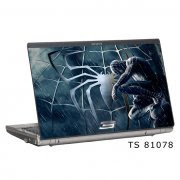 Topskin also provides an unique feature:Customised Laptop skins.YES.it is true!Now we can get the skin of our choice for our laptops from Topskin.This is truly an innovative idea from Topskin. -All topskin products comes with a 6 month warranty. -All orders are shipped the same day! So what are you waiting for? ?Go & order some skins from Topskin & flash your gadgets......Make ur own Fashion!It is ur gadget,so u sud feel proud to flash it everywhere when u have such stylish skins from Topskin!Ur gadgets r waiting-Decorate them......Remember-LIFE IS DULL WITHOUT STYLE! CONTEST-Check out the fanpage of topskin in facebook 4 cool contests.u can wil loads of prizes too! U can see some pics of awesome skins from Topskin in this blog too!